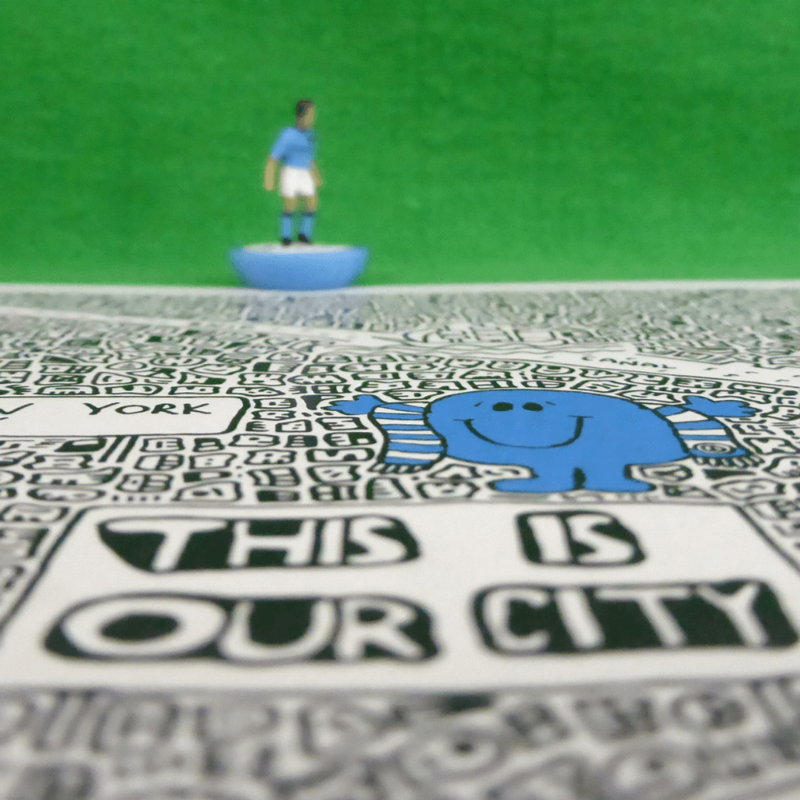 The City Doodle Map captures locations, players and elements of Man City's history as well as lots more, in the doodle style of Manchester based artist Dave Draws. 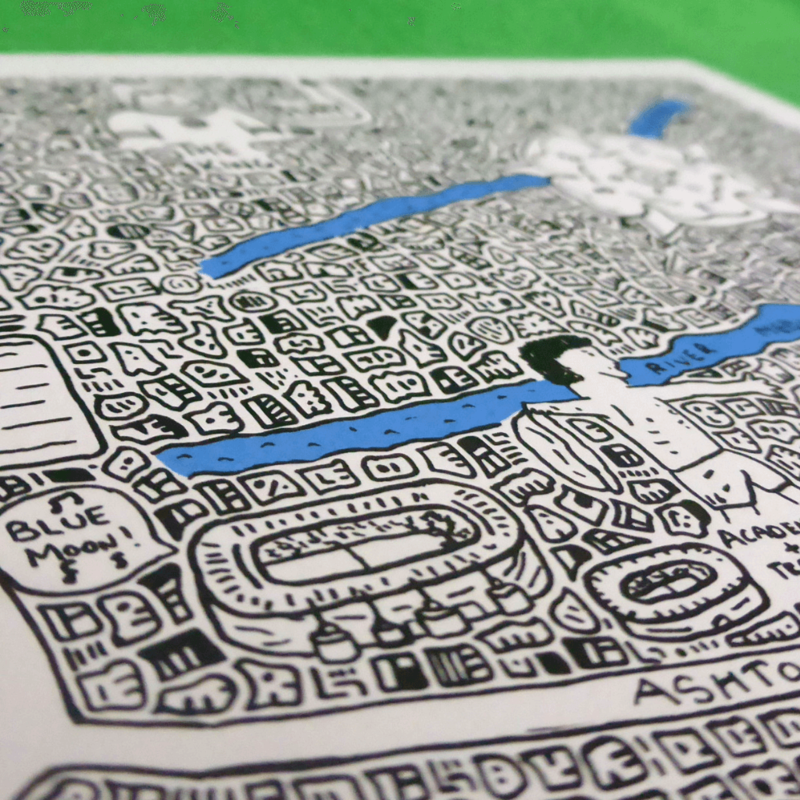 This site's very own The Ginger Wig worked with Dave to create the City Doodle Map. The Etihad and Maine Road feature and we've made sure Old Trafford is covered by Mr Noisey Neighbour! Legendary players such as Colin Bell, Paul Dickov and Sergio Agureo feature as well as Sheik Mansour in his Lamborghini. A blue theme runs through with the 3 rivers (highlighted on City's badge) featured. The print comes in standard A4 and A3 sizes ( A4 = 21cm x 29.7cm , A3 = approx 29.7cm x 42cm). Black Framing option available on A4 size. This print was created by artist Dave Draws with input from The Ginger Wig and is not official Manchester City merchandise.